It’s no secret that digital health publishers of all types struggle to introduce new users to their content. 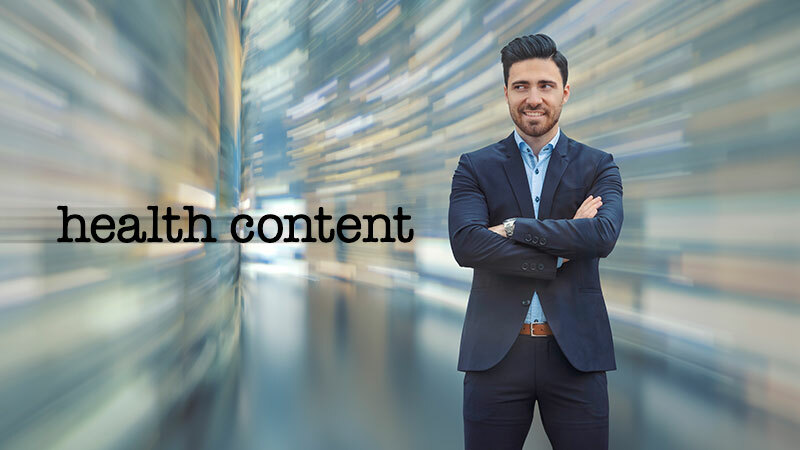 Consumer traffic exchanges and content discovery engines have historically focused on every vertical except health and medicine. You can easily find dozens of networks that focus on fashion, sports, pop culture, technology or finance, but consumer health is MIA. I recently sat down with Rafael Cosentino, VP of Business Development at Tap Native, a native ad platform, content recommendation engine, and traffic exchange focused around health and medicine. An example of consumer ad placements in the Tap Native widget. In 2016, Cosentino conceived Tap Native with a group of digital health and AdTech veterans seeking to fill a void for healthcare publishers and marketers. In 1999, Cosentino entered the digital health space with a company called Healthscout. He then saw a series of digital health victories including when a company called Healthology, a syndicator of health video content, was sold to iVillage/NBC Universal. Advanstar Medical Economics, a publisher of 27 magazines for healthcare professionals, also adopted Cosentino’s vision and platform for online content distribution. 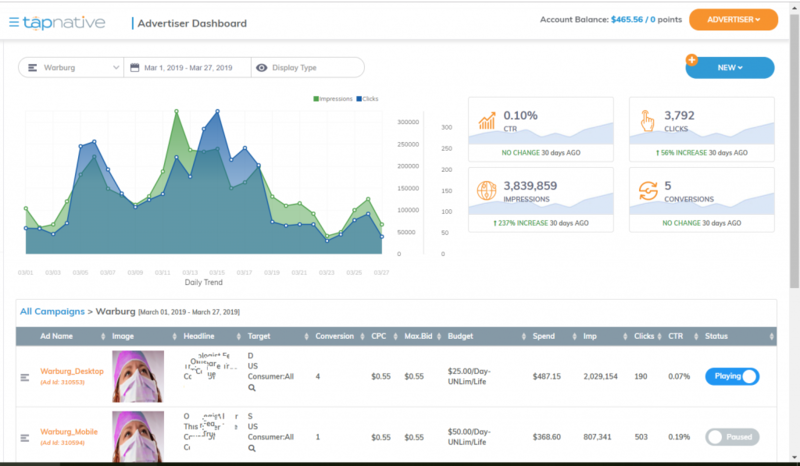 A view of the TapNative advertiser dashboard. Publishers can choose to receive a payment for using the ads and widgets or receive traffic reward points. Here, the value created is swept into the advertising side of their account and traffic is driven to their site from Tap Native’s heath network. Tap Native’s ad units and widgets can be found across hundreds of top tier health sites, forums, associations, medical societies, non-profits, condition specific patient portals, drug reference sites, diet and fitness sites, pharmacies, lab sites and more. Publisher’s using Tap’s widget can choose to feature editorial and advertising or just editorial content. Advertisers include regional health systems, pharma, medical device, OTC products, ecommerce and healthy meal delivery kits. You’ll notice the vast majority of the ads are unbranded. Cosentino says unbranded ads seem to work better for brands that can transact online. For Pharma, or other brands that do not have the ability to transact online, Tap Native works with the marketer to compose personal stories which communicate the advertisers key message points. Cosentino claims what comes out is engaging and actionable content distribution which generates visits, awareness, leads, sales and other desired actions for publishers and advertisers alike. You can see more at TapNative.com. For the sake of transparency, it’s important to note that our contributing author for this piece, Jason Mendelsohn, is a Manager of Partner Relations with eHealthcare Solutions (EHS). Tap Native is an exclusive EHS publisher partner. Additionally, it should be noted that the Pharma Marketing Network employs Tap Native technology on our site.